Adopted on February 25, 1937. The Quercus virginiana is a species of oak found from Texas to Florida to Virginia. 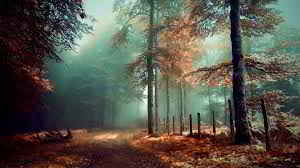 The common names for the Quercus virginiana include the Live Oak, the Southern Live Oak, and the Texas Live Oak. Size and growth varies depending on proximity to coastal regions. 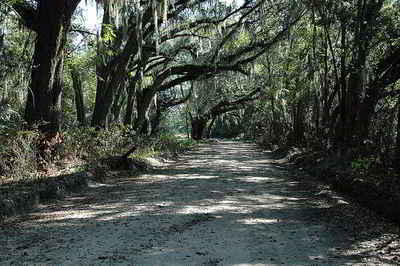 The larger Live Oaks tend to grow further inland, whereas Live Oaks in coastal regions tend to be smaller. Quercus virginiana produces small flowers during the spring, and the tree is pollenated by the wind. 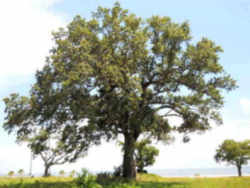 The Live Oak is also considered a rapidly growing species. 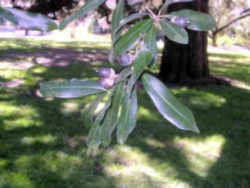 The growth of the Live Oak begins very quickly, however as it becomes older its growth rate begins to decline. It flourishes along the coastal plains and on the islands where the first settlers made their homes. Many famous Georgians, as early as General James Edward Oglethorpe, were able to enjoy its beauty. Live oak also called Virginia live oak. Leaf: Alternate, simple, evergreen, leathery, 2 to 5 inches long, oblong or elliptical in shape with an entire or spiny and revolute margin. The upper surface is lustrous, the lower is pale and pubescent. Generally, not bristle-tipped. Flower: Staminate flowers borne on catkins. Pistillate flowers borne on spikes. Appearing March through May. 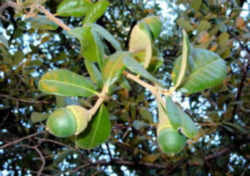 Fruit: Acorns are in clusters of 3 to 5, maturing in one season. The nut is dark in color, 3/4 inch long and covered 1/3 by the cap. The cap is bowl-shaped and warty, termed "turbinate" by Harlow et al. Maturing in September of the first year. Twig: Slender, gray and pubescent, with small, blunt, multiple terminal buds. Bark: Rapidly developing red-brown furrows with small surface scales. Later, becoming black and very blocky. Form: A medium-sized tree that can grow to massive proportions. 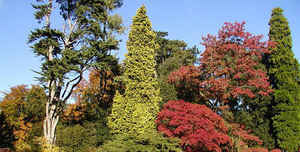 Open-grown trees develop a huge rounded crown. The largest crowns may be 150 feet across. Be it therefore resolved by the House of Representatives of Georgia, the Senate concurring, that, at the suggestion and request of Edmund Burke Chapter, Daughters of the American Revolution, the live-oak be and the same is hereby adopted as and declared to be the official tree emblematic of the State of Georgia. The law designating the live oak as the official Georgia state tree is found in the Georgia Code, Title 50, Chapter 3, Section 50-3-55. 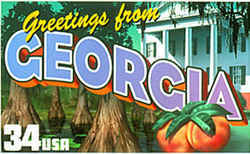 The live oak is adopted as the official tree emblematic of the State of Georgia.